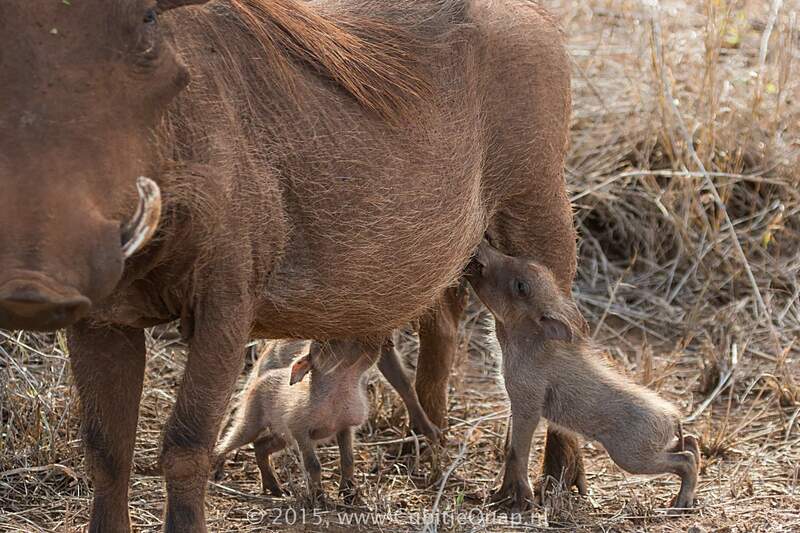 Warthogs are day animals and spend most of their time looking for food. 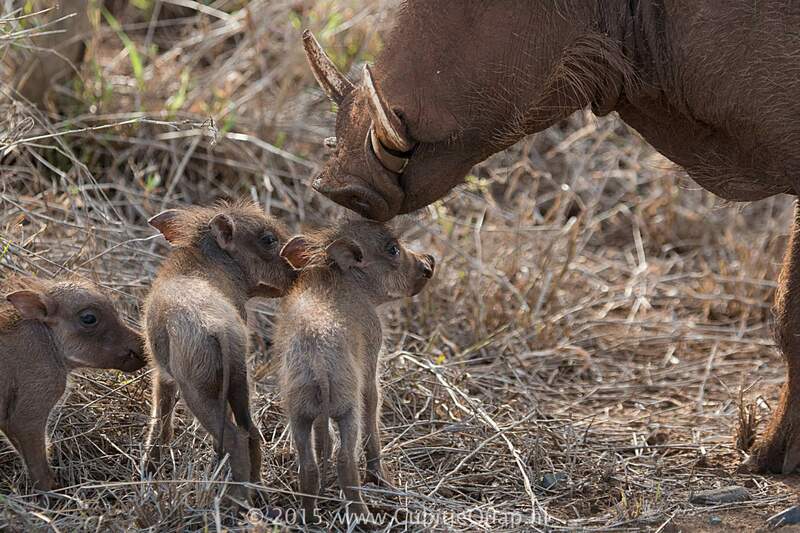 They are normally found in family groups. 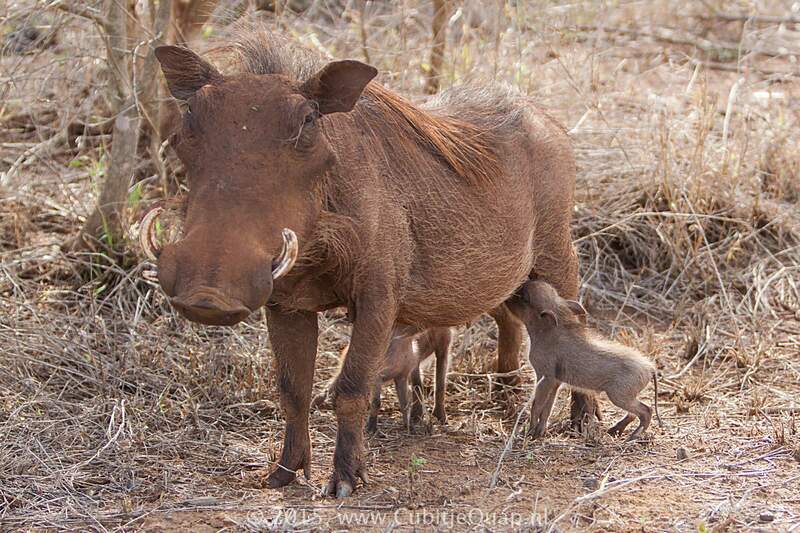 Warthogs have the peculiar habit of kneeling on the front knees while feeding and foraging in a localised area. 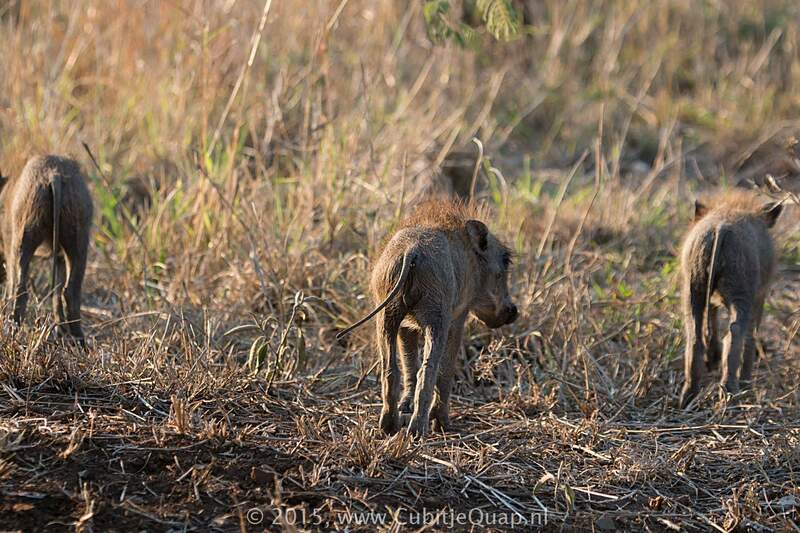 They shelter in burrows at night, which they enter tail first. 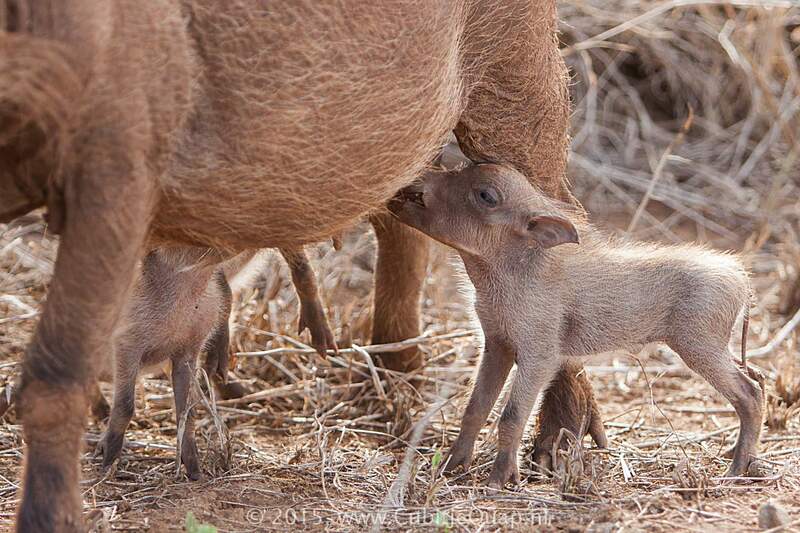 Matriarchal groups consist of adult sows with their young and yearlings. 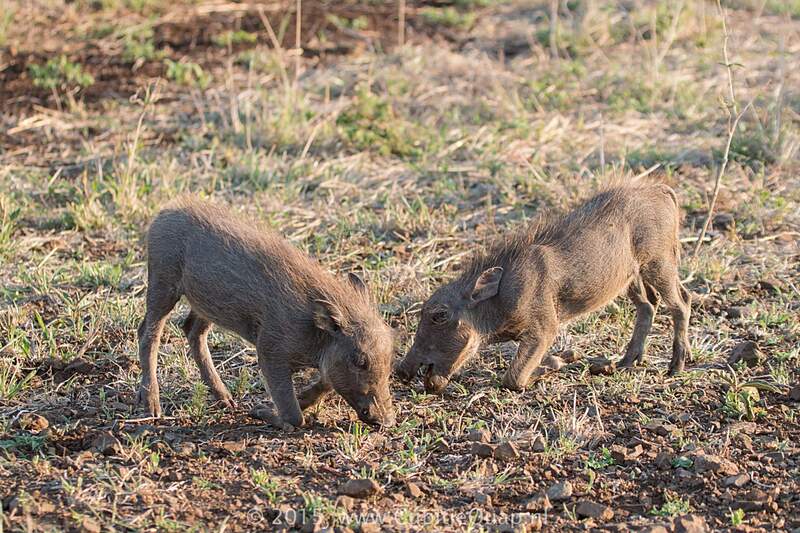 Boars play no part in rearing piglets and seldom associate with sows outside the mating process. 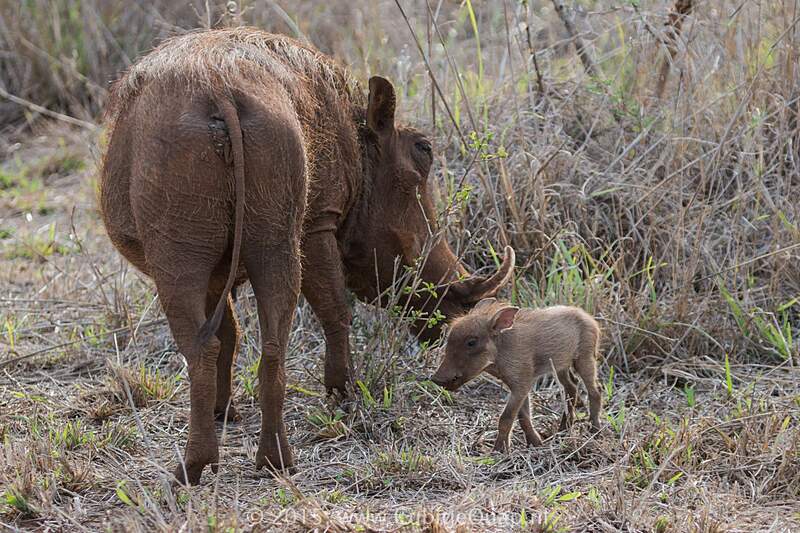 Promiscuous, both sexes will mate with more than one partner. 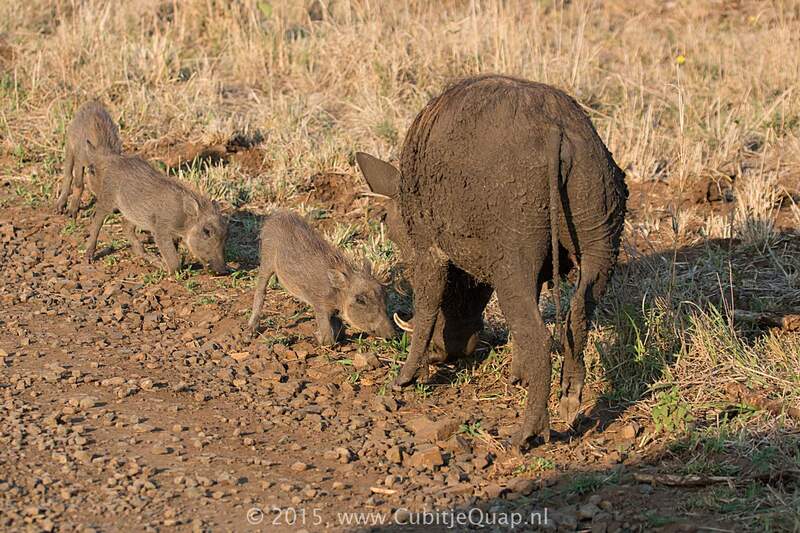 Warthogs can frequently be found at waterholes where they dig in the marsh and wallow in the mud with obvious enthusiasm. 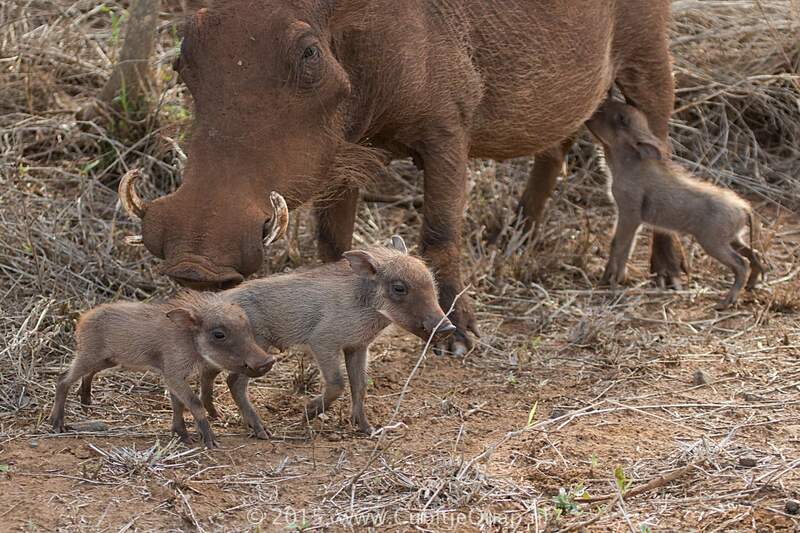 Warthog are normally seen in small family groups of one or more sows and their most recent piglets.